Claudia Naug is responsible for managing and overseeing the compliance strategy for Ironbark Asset Management. 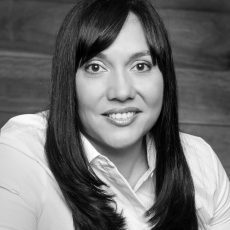 Claudia works closely with various regulatory authorities and relevant third parties to ensure that Ironbark applies the highest level of compliance and risk management, on all levels. Alongside this, Claudia also works closely with the company board and management committee in her role as Company Secretary for the Ironbark Group. Prior joining Ironbark Asset Management in 2015, Claudia worked at Certitude Global Investments Limited and Perpetual Limited as a Risk and Compliance Manager. Claudia has over 20 years’ experience within the financial services industry, including 9 years in delivering compliance solutions to Australian financial service licensees in both a funds management and financial advice (including estate, trust and philanthropy) capacity. Claudia holds a Bachelor of Business (Management and Leadership) from the University of Southern Queensland and a Diploma of Financial Services (Financial Planning).